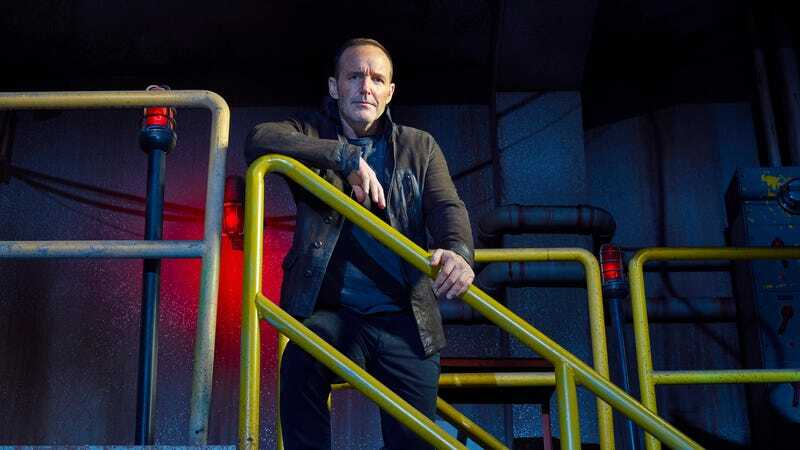 ABC’s Agents Of S.H.I.E.L.D. has included loose connection to the main Marvel Cinematic Universe movies from the beginning, most obviously when the team had to clean up some debris in the wake of Thor: The Dark World and when Captain America: The Winter Soldier’s Hydra twist forced to show to go in a new (and significantly better) direction, and its current season has explicitly noted a handful of times that it’s taking place concurrently with Avengers: Infinity War. When the show was renewed for a sixth season earlier this week, we wondered if that meant it would really address the end of the movie, when Thanos uses the power of the Infinity Gauntlet to wipe out half of all life in the universe. Ignoring it would introduce a very distracting split from the MCU, while embracing it would require cutting at least some of the show’s core cast. As it turns out, Agents Of S.H.I.E.L.D. is going to elegantly skip the whole thing by postponing its sixth season until after Avengers 4 finds a way to undo Thanos’ genocidal snap. As reported by Deadline, the show will return for a 13-episode run next summer, most likely giving viewers a nice gap between the May release of Avengers 4 and the show’s season premiere. This way, half of the cast can still be obliterated and then resurrected without undercutting whatever the movie does to pull it off—which we’re all guessing involves time travel, right? That’s all assuming that Avengers 4 does find a way to bring everyone back, though, which isn’t necessarily a guarantee. It’ll be hard to do another Guardians Of The Galaxy movie now that they’re all dead, just because something happened in the comics doesn’t mean it will happen in the movies. Either way, Agents Of S.H.I.E.L.D. isn’t going to spoil it by coming back early.